Tours de Sport's Blog: Hotel Jerome $199 Promo! Aspen, Colorado. 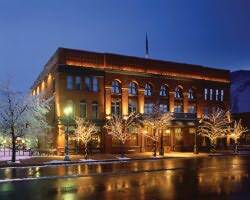 Hotel Jerome $199 Promo! Aspen, Colorado. Gonna be a BEAUTIFUL spring in Aspen, Colorado and now we have a deal that is just to good to pass up. Our good friends at the Hotel Jerome are offering.